TAOYUAN, Taiwan—Taoyuan County Councilor Li Baifang attended Shen Yun Performing Arts International Company’s 2014 premiere in Taoyuan at Taoyuan County Performing Arts Center along with his wife on the evening of March 22. After seeing the show, he said that Shen Yun’s flawless performance has ushered culture and arts into a new dimension. 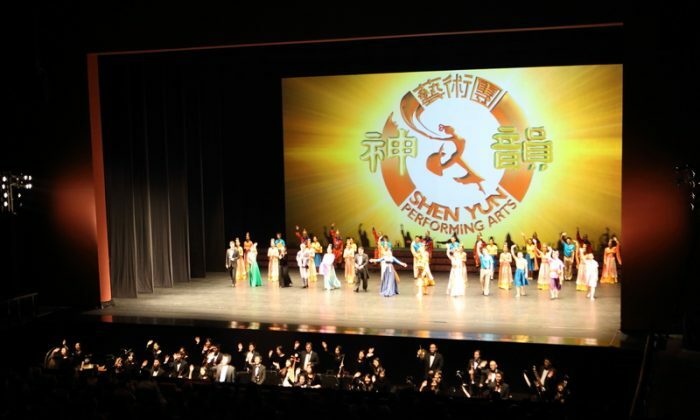 New York-based Shen Yun brings 5,000 years of Chinese civilization to the world, through both music and dance: classically trained dancers, award-winning singers, and a full orchestra comprised of both Eastern and Western instruments. Shen Yun is known for its classical Chinese dance, a system developed over hundreds of years, with each dynasty imbuing it with its own flavor and wisdom—the result is one of the most comprehensive and expressive dance forms in the world. Amazed by the magnificent music played by the Shen Yun Orchestra combining Chinese and Western instruments, Li Baifang said that the harmonization of music and culture is one of Shen Yun’s most significant characteristics. Finally, Li Baifang concluded by saying that the entire show was perfect and that Shen Yun has ushered culture and arts into a new dimension.